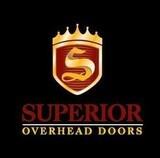 At Superior Overhead Doors we pride ourselves in designing high quality custom garage doors. We're committed to proving garage doors that will be perfectly suited to compliment your home and style. 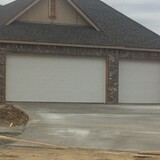 We have cost effective prebuilt garage doors that we can configure in numerous ways with various panel designs and hardware that will blend perfectly with the style of your home.. We also specialize in designing, hand crafting and installing a complete custom garage door solution that is unique to you. No other company can give you the personal attention and quality level of design that Superior Overhead Door can. Superior Overhead Door is the perfect partner to work with if your looking for a highly experienced company who can provide endless design possibilities and a professional installation . 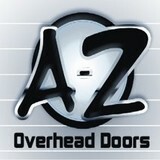 . .
Axcess Overhead Garage Doors is a full service company offering same day and emergency service. Our technicians have over 22 years experience featuring knowledgeable office staff and professional installers. 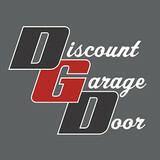 We are a local business offering garage door sales, service and installation. We also offer garage door openers as well as repairs to exsisting doors and openers. Sales, Service, and Installation of residential and commercial overhead and garage doors. 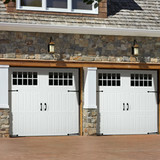 We do garage door installation, service and repair. Both new construction and remodeling. Commercial and residential. What kind of services do Cleora, OK garage door dealers and installers provide? Garage door professionals specialize in the selection and installation of residential garage doors and openers that fit your budget, style and needs. This includes choosing a garage door style — or designing a custom garage door — that blends in with your home’s exterior, selecting materials, determining a technological system that supports your security and access needs, determining proportions and dimensions, finalizing decorative designs and ensuring that everything meets Oklahoma compliance and building codes. Find garage door sellers and installers in Cleora, OK on Houzz. Narrow your search for Cleora, OK garage door sellers and installers by selecting the nearest city or zip code. Look at portfolio and product photos, and read reviews to find the best Cleora, OK garage door professional for your home.